Hollywood Film Festival salutes Irwin Winkler with the Outstanding Achievement in Producing Award. The Hollywood Film Festival presented its Hollywood Film Awards on August 9 at the Beverly Hilton. 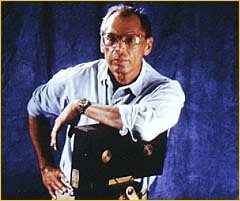 Among those honored with a Hollywood Film Award was Irwin Winkler, who received the Outstanding Achievement in Producing Award. Winkler's films have been nominated for Academy Awards 45 times and received 12 Academy Awards. Four of his films have been nominated for Best Picture: Raging Bull, The Right Stuff, Goodfellas and Rocky (which garnered the Oscar that year). After graduating from NYU, Winkler read a book about the film business, applied unsuccessfully for a job in the MCA mailroom before landing in the mailroom at William Morris, where he eventually moved up the ranks to become an agent. In 1962 he teamed up with theatrical manager Robert Chartoff, with whom he went on to produce such films as They Shoot Horses, Don't They? ; The New Centurions; Point Blank; The Gambler; Comes a Horseman and the Rocky series. In 1970 Chartoff/Winkler was the first independent production team to have three films simultaneously honored at the Cannes Film Festival: Leo the Last (Best Director John Boorman), The Strawberry Statement (the Jury Award) and They Shoot Horses, Don't They? (closing night honors). Winkler has produced three Martin Scorsese films: New York, New York; Raging Bull and Goodfellas. Scorsese, whom Winkler first met at the New York Film Festival showing of Mean Streets, has acted in two other Winkler films: Round Midnight and Guilty By Suspicion, Winkler's 1989 directing debut. Winkler has since directed Night and the City, The Net and At First Sight. Winkler was 57 when he decided to also start directing. "A friend of mine died in a car accident. He was the kind of guy you thought would live forever. I played tennis with him everyday. It made me more introspective. I said, �There are so many things in life you want to do.' And I was lucky enough to do this." Winkler has received the Commandeur des Arts et Lettres, France's highest honor for an artist. The British Film Institute and the Museum of Modern Art in New York have both presented retrospectives of his work and the Chicago Film Festival gave him their Lifetime Achievement Award. In the Filmmaking Competition, the Best Feature budgeted over $1 million went to a German-made film about right-wing extremists, Rosenzweig's Freedom by Liliane Targownik. The Best Feature budgeted under $1 million went to Robert McGinley's coming-of-age film Jimmy Zip. Best Animation Film was awarded to Kirby Atkin's Mutt, Best Short went to James Zeilinger's Damned If You Do and Best Documentary to Lisa Gossels and Dean Wetherell's Children of Chabannes. David Flamholc received the Young Filmmaker's Award for Lithium.